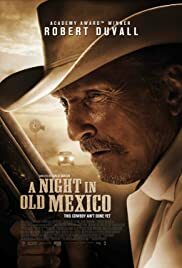 After being forced to sell his family ranch to developers, a financially strapped, but proud senior citizen, and his estranged grandson, find themselves targeted by drug dealers in search of a missing money bag. A veteran cowboy and his nephew save five Chinese girls from prostitution while trekking from Oregon to Wyoming. An aging hitman gets a contract to kill a General in Buenos Aires, Argentina. But when his mark becomes unavailable, he becomes involved in Argentinian tango culture. A broken-down, middle-aged country singer gets a new wife, reaches out to his long-lost daughter, and tries to put his troubled life back together. James Landry Hébert ... J.T. THIS COWBOY AIN'T DONE YET. Ramond: [from his car] Hey, J.T., how you doin', man. Everything go okay? J.T. : Let me see some money first. Ramond: Look man, here's the money. Ramond: Now bring that stuff over here. 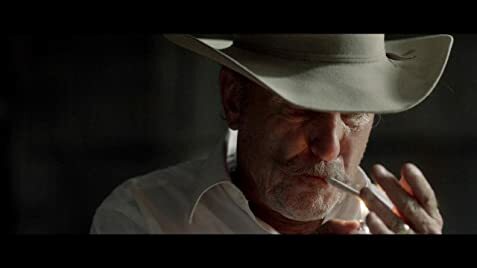 Robert Duvall is my favorite actor of all time but not even he could save this miserable script, poor directing and amateur cinematography. Other than Duvall, the other actors are worse than you would see in any high school play. The script is probably the worst I have ever seen produced. There are at least 30 scenes that were imitations from other, real films. Of course, they were very poorly executed. There were plot holes at every turn and others that just didn't make sense. I didn't bother to research but I cannot fathom how this train wreck got produced. I felt sorry for Duvall throughout the whole film. His performance was definitely not Oscar worthy and my mind drifted off, wondering if he has financial problems that would have led him to participate in this amateur endeavor. I have honestly seen much better productions from film schools.